Good afternoon all: Through San Diego State’s Capstone Program, and the Friends of Del Cerro, a group of SDSU Masters Degree students have been interviewing community leaders and related city staff such as John Steffen, our SDPD Community Relations Officer on the perception of crime and safety in Del Cerro. 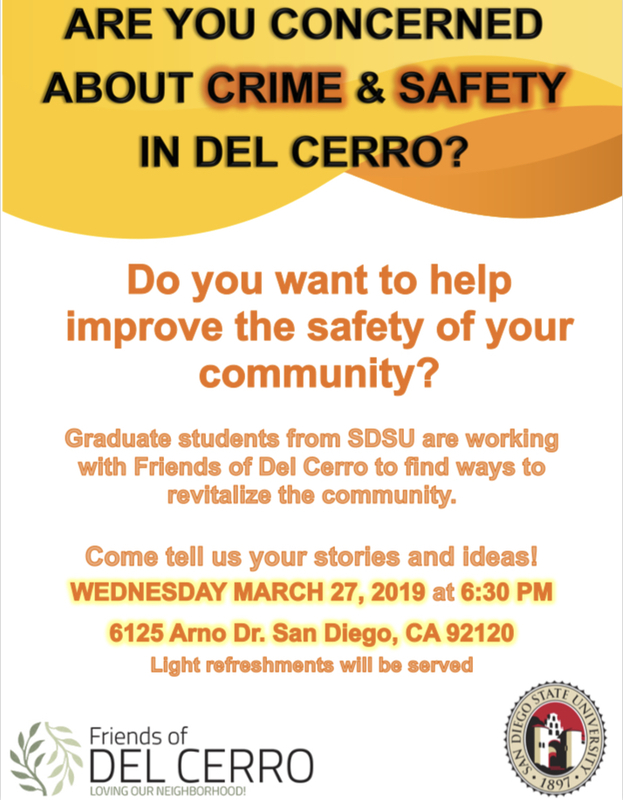 This Wednesday, March 27th, they are inviting Del Cerro Community Members to a meeting at 6125 Arno Drive from 6:30 to 8:00 PM. They are seeking input from us that will be used in a final report on their findings and recommendations.